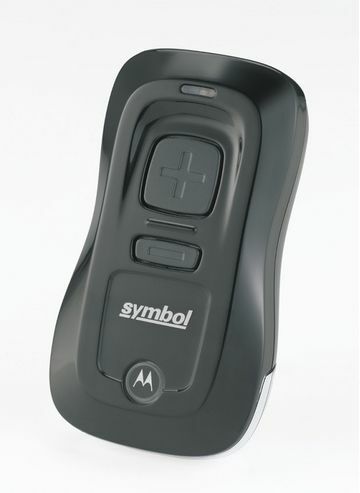 MOTOROLA CS3070: KEYFOB SCANNER, BT, 0.5GB, INC. USB CABLE. The innovative Motorola CS Series CS3070 barcode scanners enable enterprises to easily implement 1D laser scanning where either mobility or the cost and size of a traditional scanning device is an inhibitor. The tiny device is affordably priced and fits in a pocket or on a lanyard. The easy to use CS3070 Series requires virtually no training to operate. The highly intuitive simple 2-button interface makes scanning easy. In addition, grooves that guide hand and fingers into the most comfortable scanning position combine with soft rubber trigger buttons to bring comfort to the most scan intensive tasks. the CS3070 offers batch mode as well as real-time bar code data transmission to a host application via a wireless Bluetooth® connection to smartphones, laptops and more.